To purchase the manual use the button below which will take you to our secure PayPal website where your order will be processed. £84, € 95, $112 incl P&P. 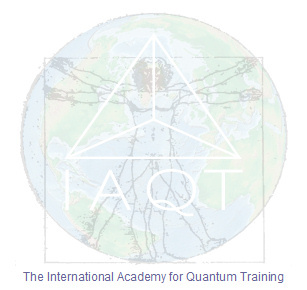 We can provide you with all the Accredited Biofeedback Qualifications, Training & Materials that you need to be an up and running practitioner with the Quantum EDUCTOR, SCIO and INDIGO technology. Our workshops and Trainings are held in the UK, Europe, and can be arranged world wide. In addition, our friendly and professional staff are here to answer any questions you may have about our Academy or our services. Come join our team and be inspired to have the confidence to work from knowledge and intuition. "I received my SCIO 10 days ago and now have just completed 6 days training which has opened up new meaning to my life. The SCIO with its limitless potential is now a living reality, in my hands, I now have the tool and the training to really make a difference to everyone I meet! The training was exciting, informative and incredibly comprehensive and I wish to applaud Penny on her dedication and abilities to portray this magnificent technology. Her obvious enthusiasm, belief and knowledge shines through, my job now is to practice and find `my way` forward. I now feel equipped and confident to do just that. I encourage anyone to go to her training, again and again. I thank you for this wonderful treasure. Penny, you are a very bright light, and I am honoured to be a member of your team!"